This will freak Anne Moran. The Channel 9'site at Tynte St North Adelaide is coming up for sale. Nearly 7000sqm. We should expect something special to happen here. Proximity to Adelaide Oval has become a key factor in inner city development locations, says a leading Adelaide commercial property group. Knight Frank’s Tony Ricketts is putting the finishing touches on a campaign to sell one of the prime development locations in North Adelaide – Channel Nine’s landmark Tynte Street location. The 6774 square metre block will become vacant when the network moves to refurbished rented digs in the city next year. The Tynte Street studios were the birthplace of South Australian television, hosting the first broadcast on 5 September 1959. Ricketts says an expressions of interest campaign aimed at local and national developers will be released Tuesday, closing on November 20. “The property is perfect for high-end residential development; its already zoned low density residential and the location is first class,” he said. “Since the Adelaide Oval redevelopment any property within walking distance of the Oval has an added dynamic. “The impact of the Oval in and around the city has been remarkable. “This property is just minutes away from the Oval, has four frontages (Tynte, Gover, Mansfield Streets and Wellington Square) and is in North Adelaide. The Nine Entertainment Company, owner of NWS9 Adelaide, will relocate to 169 Pirie Street in 2015. Refurbishment work on the old Bendigo Adelaide Bank building in Hindmarsh Square has already started and includes a glass-fronted studio on the ground floor that will allow viewers to engage with Nine News from the street. Sean O’Brien, Managing Director of Channel Nine Adelaide, said: “We leave the bricks and mortar behind but take our memories to a building we have designed to support a business that is no longer just about television, but encompasses digital, events, social media and a resurgence in community involvement. 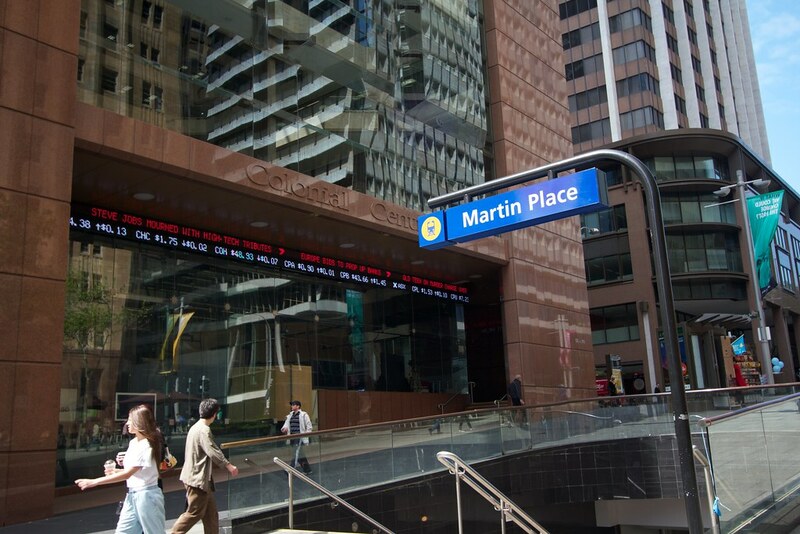 Nine has acquired naming rights to the building, which was sold by Knight Frank last year. The building will be fitted out with state-of-the-art technology for the 100-plus relocating staff. The move strengthen’s the south-eastern corner of the city as a media hub: FIVEaa, Nova Entertainment, Southern Cross Austereo, Network Ten, Radio Adelaide, Fresh FM, InDaily and Solstice Media are all now in that quarter of the CBD’s square mile. Opposite the well maintained Wellington Square, close to O'Connell St, Adelaide Oval and with those south facing city views.. It will no doubt attract many developers. Channel Nine Adelaide have really lifted their game in recent times. Not sure if this will be a roaring success considering how lifeless and bland this area is. But nevertheless it's a bold move by Nine and will add something different to the city.. So good on them. crawf wrote: Channel Nine Adelaide have really lifted their game in recent times. Not sure if this will be a roaring success considering how lifeless and bland this area is. But nevertheless it's a bold move by Nine and will add something different to the city.. So good on them. Wayno wrote: We should expect something special to happen here. Haven't they moved out though? 9 signage is up on their new hq in Hindmarsh square. My apologies, I should have made myself more clear (forgetting this is the thread for the old Nine site). I was referring to the signage on their new HQ in Hindmarsh Square. They're not in there yet, but it can't be too long now. LUXURY apartments up to six storeys high could breathe new life into the former Channel 9 site in North Adelaide if developers can get past Adelaide City Council’s height and density restrictions. Public consultation on altering the council’s planning rules for the site — which is bordered by Tynte, Mansfield and Glover streets — closed last week. The consultation, which opened last month, gave residents and businesses the opportunity to raise any concerns about a proposed redevelopment of the block. Adelaide City Council associate director of planning and development Rick Hutchins said the council would consider allowing taller structures. “Under the current development plan, a building that exceeds two building levels and locates a ceiling more than 6m above median ground levels is noncomplying,” Mr Hutchins said. John Culshaw, of Tynte Street Developments, bought the site in November. there is going to be some seriously unhappy North Adelaide residents. I am new to this forum. Is anyone else interested in the Adelaide City Council proposal to raise height limits on the old Channel 9 site on Tynte St to 18m (6 storey)? I would appreciate any feedback from this forum. Are people in favour or opposed? Last edited by saveadelaideheritage on Sun Sep 18, 2016 8:21 pm, edited 1 time in total.